You Are Here: Home / Blog / News / When Should You Wash Your Car? Pick a day during the week when the weather forecast shows several nice days of sunshine afterward. Make certain that any time that you decide to wash your car, you pick a day or timeframe that is going to have several sunny or nice days following. After all, what’s the point in washing your car if it’s going to rain and get all dirty again the very following day? Also, want one super helpful tip? 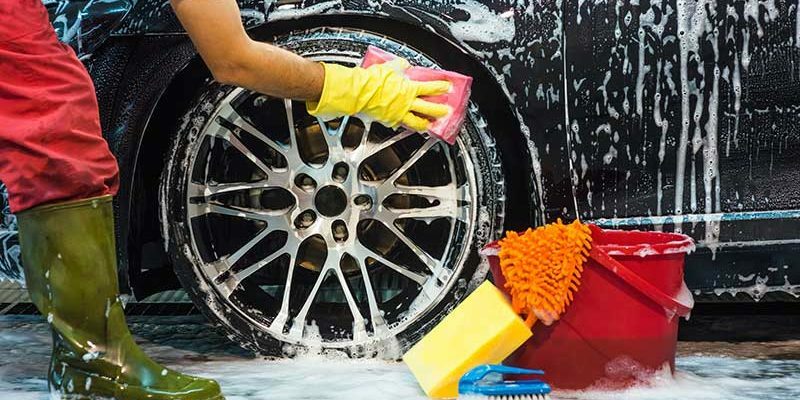 Many car washes offer a car wash guarantee for 24 hours. What that means is that if you wash your car and it gets rained on and muddy again in 24 hours, you can come back for one complimentary wash to get it shiny again. Just ask the car wash if they have this option! Clean your car after winter weather or after a beach trip. If you live up north, you know road crews do a great job of laying salt and keeping the roads clear or snow and ice. But, all that salt that they are putting on the road finds its way up onto the exterior components of your car. Don’t let that sit there for long! Once the ice and snow are gone, it’s time to get your car cleaned ASAP. Luckily, those of us that live in Florida don’t have to deal with this, although we do get salt on our vehicles when we drive along the beach! If you live or work on the Space Coast, you’ll want to wash your vehicle more often to prevent the salt from corroding your paint or causing rust. When you can no longer tell what color your car is, you know it’s past time for a car wash! While this may be a bit of an exaggeration, you understand what we mean. Treat the exterior of your car with care by keeping it cleaned and waxed and you’ll be amazed at how long it stays looking good and rust free! Washing your car should be one of the many priorities that you remember when taking care of your vehicle. Along with regular car maintenance from your trusted automotive shop, Cassels Garage of Melbourne, FL, you can keep the exterior of your car and the mechanics working smoothly and looking great for many years to come! We offer auto repair and services like brake checks, transmission repairs, and oil changes. Come by our shop today for any vehicle maintenance your car may need!